Following a tragic incident in New York City on Tuesday that left eight people dead and 11 injured in what police are calling a terrorist attack, thousands of people lined the streets of Greenwich Village for the 44th Annual Village Halloween Parade. 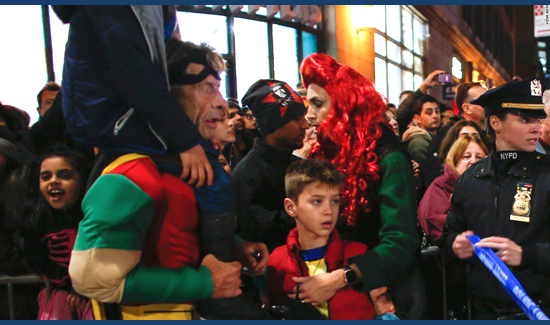 With a spirit of camaraderie and strength, New Yorkers came out in droves dressed in various Halloween costumes, determined to overcome the tragic event. Musicians, bands and floats were in full attendance at the celebration, lifting up the spirit of the attendees who reiterated that they were there to celebrate life. “People in the city are resilient and strong and we’re not going to change who we are, we’re not going to change what we do because of a terrorist trying to undermine our city, undermine everything we stand for,” Mayor Bill de Blasio told NY 1 during the parade.